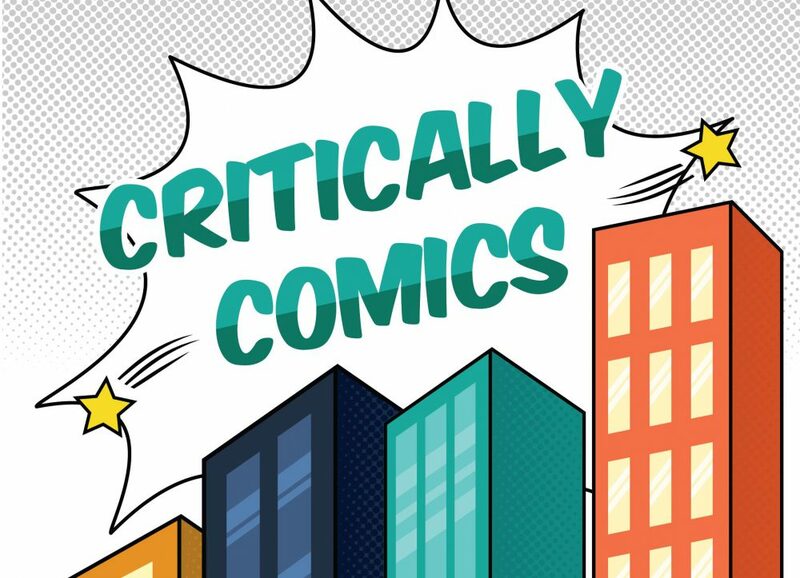 Earlier this month, we posted the third episode of the Critically Comics podcast. The episode focused on the first volume of Marvel’s The Unbeatable Squirrel Girl and The Unbeatable Squirrel Girl Beats Up the Marvel Universe. (The episode can be found here). In addition to the material we covered, there have been an additional forty-two issues published. Last week saw the publication of The Unbeatable Squirrel Girl Vol. 2 #48 — which marks the character’s 50th solo issue by Ryan North. While I believe that the material we previously covered has earned The Unbeatable Squirrel Girl a place in the comics canon, I wanted to discuss some additional issues that we did not talk about on the podcast. The following are the top issues that demonstrate how this book deserves a place in the comics canon with its unique and genre-bending storytelling. “Animal House” is a two part crossover storyline that begins in The Unbeatable Squirrel Girl Vol. 2 #6 by Ryan North and Erica Henderson, and concludes in Howard the Duck vol. 6 , #6 by Chip Zdarsky and Joe Quinones. In this story, Doreen helps Howard locate a missing cat and ends up getting sucked into a larger adventure where they are hunted for sport. Shannon Sugarbaker, a southern debutante and the villain of the story, kidnaps Doreen and Howard, along with a menagerie of other animal-themed characters from the Marvel Universe — the X-Men’s Beast, Kraven the Hunter, and Weapon II, a Wolverine inspired squirrel. On the surface, the story serves as a loose adaption of Richard Connell’s The Most Dangerous Game. In addition, the book (albeit comically) raises the issue of legal rights of the “advanced” animals / animal hybrids. When applying an animal studies lens to this story, a wide variety of issues become readily apparent. For example, if animals were to gain human qualities like Howard the Duck, what ethical issues would arise with hunting? At what point would we award the same rights and privileges as humans? This thought exercise is just under the surface of the story, and can be a launchpad for several classroom discussions. Due to inspiring such conversations, “Animal House” is a gem of a story in Ryan North & Erica Henderson’s run on The Unbeatable Squirrel Girl. In this issue, Ryan North and Erica Henderson break the streamlined narrative expectations of a typical comic book story. Instead, North and Henderson create a choose your own adventure style story. “Be The Unbeatable Squirrel Girl” is less of a title to the issue, but more of a challenge issued to the reader by the omnipotent narrator of the issue, Galactus, who threatens to devour the planet if the readers do not correctly reach the end of the story. By using this creative framing device, North and Henderson place a comedic sense of urgency and duty onto the readers to pick the “correct” path. The sheer nature of a choose your own adventure story requires the reader to physically flip back and forth between pages of the story, an action that requires an extra level of physical engagement with the reader. Additionally, presenting this technique in a comic book format allows the reader to visually follow multiple time lines at the same time all on the same page. Some of the choices readers are faced with ultimately end up merging into the same ending, but North has amusing comments concerning eventuality littered throughout these convergences. Included at the end of the issue is a “secret ending that is only reached through cheating” which is a meta commentary about how often readers “cheat” in choose your own adventure stories by skipping around. While “Be The Unbeatable Squirrel Girl” could be written off as being too “gimmicky”, it invites readers to physically interact with the issue in a way that 99% of other books take for granted. It legitimately might be one of my favorite panels of all time. Part of what sets Squirrel Girl apart from other heroes in the Marvel Universe is that when she is not fighting crime, she is an active college student. A through line of Ryan North’s tenure on the book has been Doreen Green attempting to obtain a degree in computer science. In this particular issue, Doreen’s knowledge in computer science takes the spotlight. Most of the issue takes place in Doreen’s dreams — a clever twist on the ages old nightmare of showing up to a test you do not feel prepared for. The supernatural villain, Nightmare, tries to take advantage of Doreen’s insecurities as a student and make her doubt her ability to fully understand computer science. However, in true Squirrel Girl fashion, Doreen finds a solution that does not invoke throwing fists; Instead of punching her problems away, Doreen defeats Nightmare by reciting basic computational control flow statements and explains binary by counting to 31 on a single hand. This issue presents convoluted computer science concepts into an easy to follow comic book story. By incorporating practical and educational segments into the story, this issue shows that comic books are more than mere entertainment. While it may not be the highest concept issue, The Unbeatable Squirrel Girl #15 has enough creative ideas to launch multiple analyses. The traditional storyline of hero versus villain takes a backseat to the less thrilling daily adventures of a common cat. While Squirrel Girl fights the Taskmaster in the background of the story, North & Henderson follow a day in the life of Mew (Doreen’s roommate, Nancy Whitehead’s, cat). The creative team breaks traditional comic storytelling format to emphasize Mew’s indifference to super heroics by forcing dialogue balloons out of the panel. Instead of watching the Avengers confront Taskmaster, readers are invited into the dreams of Mew as she contemplates what exists beyond the mouse hole in the wall. In the end, it is Mew who actually saves the day by indirectly helping Doreen by giving her the idea to use her tail (a trait Taskmaster can’t copy) to defeat the villain. Applying an animal studies lens to the adventures of Mew opens up discussions of how animals are used in literature, and what value they have in the stories they appear in. What is inarguably a one-off issue demonstrates how much creativity North & Henderson have and how willing they are to bend comic book storytelling norms. One of the major underlying themes of entire Unbeatable Squirrel Girl series is the emphasis on friendship and collaboration parties. In the publishing world, there is no better example of collaboration than zines. Zines (short for magazine or “fanzine”) are usually the creative work of several contributing writers who come together and self-publish their work in a single volume. While each writer contributes to the content inside, they all assist in compiling, publishing, and distributing the zine. Because zines are typically underground self-publications, they are often to have an inexperienced and unpolished appearance. The Zine issue of The Unbeatable Squirrel Girl contains all the hallmarks of a zine: multiple stories within the issue, a rough outer appearance and an emphasis on collaboration (both in the issue itself and the creators whose work are featured in the issue). Taking the time to carefully tune the aesthetic of the issue is indicative of the creative energy North and Henderson carry throughout their run. The emphasis on collaboration and on under-appreciated zine publications in this issue makes this series stand out head-and-shoulders above other modern superhero comics.